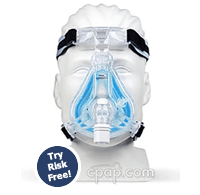 Sign-up for our weekly newsletters for CPAP articles, tips and special offers! 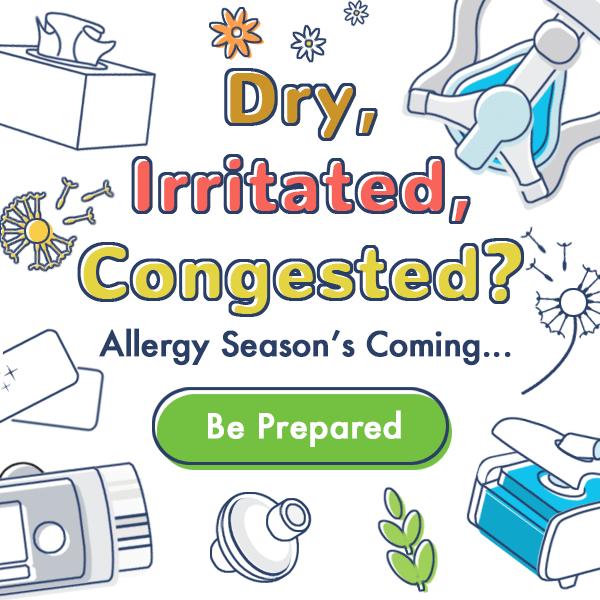 Allergy season is approaching fast, prepare yourself with these top full face masks that help provide sleep relief to users who are unable to breathe through their nose. "Seals extremely well and is comfortable as I do not like wearing any device..."
"...purchased as a backup to use when nasal congestion was an issue. Performed well!" "Lightweight and quiet. Easy on and off. No leaks. Very pleased with this product." Stay Prepared With These Helpful Remedies. Add a bacteria filter to help protect against unwanted allergens and particles entering your CPAP machine. Naturally soothe dry sinuses by using the NeilMed Sinus Blaster to moisturize your passageways and alleviate dryness caused by allergy symptoms. Using a heated humidifier with your machine increases sleep comfort by helping to alleviate irritation and dryness. See why users love these popular machines with built-in humidification. "Many great features for the money like heated humidifier." "It's so quiet & doesn’t dry out my nostrils. Love it." "Very quiet and has provided comfort with the Humidifier." Don't Forget to Replace Those Filters! 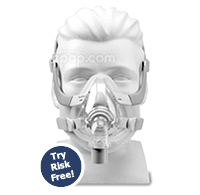 CPAP machine filters are the primary line of defense against floating air particles. Protect yourself from these unwanted allergens by replacing old filters with fresh ones. Remember to add a bacteria filter for extra protection. These popular comfort and cleaning items can help aid in the fight against pesky allergies. Safely and quickly sanitizes your equipment, helping to prevent bacteria buildup. Adds moisture to your air, helping alleviate irritation and dryness. Helps combat interior dust, great for face, stomach and side sleepers. On all masks with headgear. 8 AM to 8 PM CST. 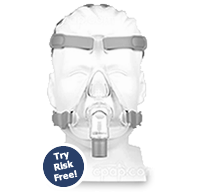 (1) CPAP.com reserves the right to cancel or change its promotion at any time.